Development and Reform Ahsan Iqbal said that government is committed to revolutionizing the education system and directed to complete all educational reforms projects by 2017.
with officials of Ministry of Capital Administration and Development (CADD), Education and Federal Board of Intermediate and Secondary Education( FBIS), said a statement issued here. gradation of ICT schools, Examination System reforms , National Curriculum Reform, Transformational Teacher Training Program and Mainstreaming of Madaris projects. 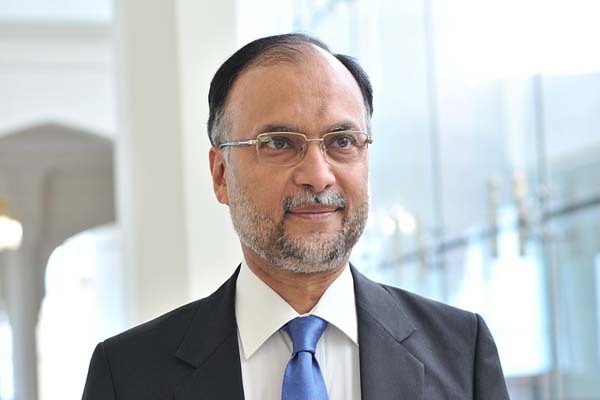 Ahsan Iqbal emphasized the need for speeding up the pace of work as these projects would bring a radical change in the education system of Pakistan. that next academic session in 2017 should start with smart schools. education system and contribute to promote the creativity and innovation among students. Under this project 32 schools would be transformed into SMART school by employing blended learning. Out of 32 schools 24 would be chosen from ICT area and 8 would be chosen from the provinces. system of examination like testing, evaluation and compilation of results. examination system and council of common interest must be taken on board for reforms in this area. develop examination reform agenda with the consultations of provinces and make sure that this project should complete by 2017.
examination and assessment system at par with international standards. importance can never be undermined. reform in the national curriculum. methods for students to inspire creativity in them”. Science, Technology, Engineering, Arts and Mathematics (STEAM) subjects are critical for our future. The minister said the medium of instruction in primary schools must be revisited as majority of students are unable to develop proficiency in English and resort to rote learning without comprehending concepts. students in rural and under developed areas. language and terminology part in English language to help students develop conceptual learning”, he added. He also suggested that use of national language as medium of education will increase the mobility of students. make coordination among various federating units in development of minimum National Education Standards up to Higher Secondary level and National Curriculum Framework. establish a state of art teacher training institute keeping in view the international standards of teachers. Madaris project by introducing primary education alongside the curricula of Deeni Madaris. improvement in students of Madaris through provision of quality education . Ahsan Iqbal said that students of Madaris should be encouragedto get education in Maths , Sciences and English . He said Matric level education must be provided to Madrassah students to equip them to compete in the job market.